Today 25 Members of Parliament  from across the United Kingdom and political spectrum have urgedLiverpool Football Club to scrap its controversial deal with Chinese company, Tibet Water Resources Limited. 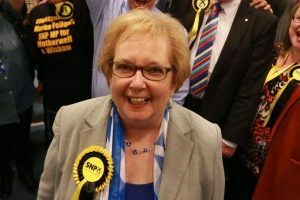 The 25 MPs, which represent constituencies from as far North as Dundee and as far South as East Worthing and Shoreham, have called on the club to end its partnership and reaffirm its commitment to the promotion and protection of human rights. 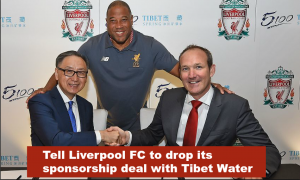 The deal, signed on 24 July 2017, saw Tibet Water become Liverpool FC’s official regional water partner in China and offers the company a range of promotional and marketing rights. The 25 parliamentarians expressed their concern that the deal “is not consistent” with the values promoted in the club’s human rights framework and have called on Liverpool FC to ensure due diligence standards have been met and that its business partners commit to respecting human rights. 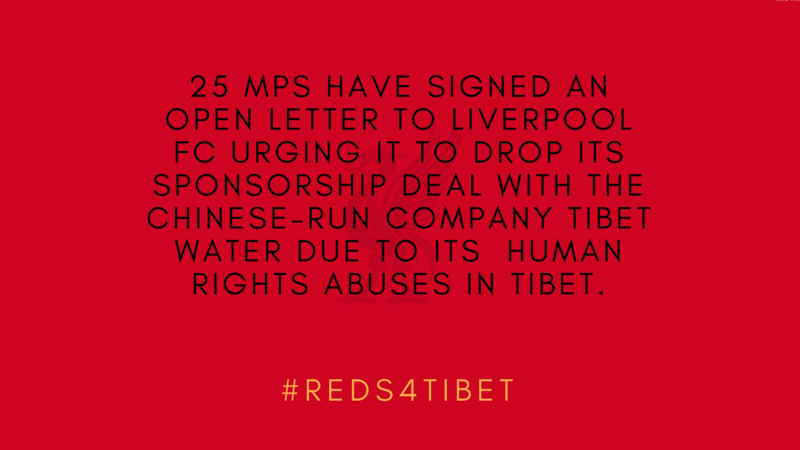 In the letter, MPs also echoed the sentiment expressed by Tibet organisations that Tibet Water is only able to operate in Tibet as a result of the Chinese occupation and the human rights violations that uphold it and called on Liverpool FC “to terminate the agreement.” Tibet has today become one of the world’s most repressiveregimes. 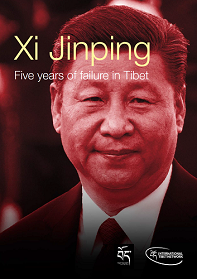 In occupied-Tibet, the Chinese government severely restricts all fundamental rights and freedoms, including freedoms of association, expression, and religion and Tibetans continue to face arbitrary arrest, torture and indefinite detention. 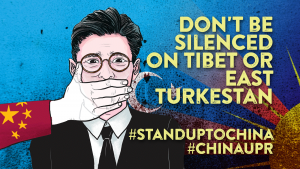 Tibetan activists, writers and pro-democracy advocates remain subject to long terms of imprisonment under severe laws nominally drawn up to counter terrorism or cyber security. MPs from the Liverpool area have also joined the campaign, including Stephen Twigg MP for Liverpool West Derby and Dan Carden MP for Liverpool Walton, who are understood to have written to the club expressing their concern about the partnership. 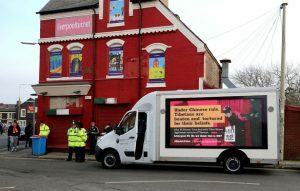 Tibet advocacy groups in the UK have similarly written to John W. Henry and Liverpool FC’s directors to alert them to the negative effects of a deal with a company exploiting resources in Tibet – although over six months on, a response has yet to be received. 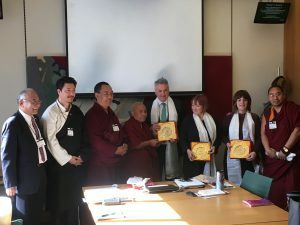 Tibet organisations, including the International Tibet Network, Free Tibet and Tibet Society, as well as international consumer group SumOfUs, launched a campaign calling for an end to the deal in October 2017. Nearly 90,000 people have since contacted Liverpool FC, urging them to end to their sponsorship with Tibet Water and stand up for the rights and freedoms of Tibetans. 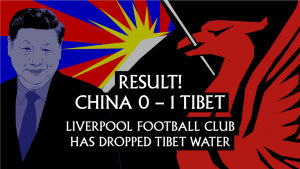 More information on Liverpool FC’s deal with Tibet Water and ways to take action can be found here. Kerry McCarthy (Labour), Tim Loughton (Conservative), Chair of the APPG for Tibet Chris Law (SNP), Tom Brake (Liberal Democrat), Teresa Pearce (Labour), David Lammy (Labour), Dr David Drew (Labour), Stephen Kinnock (Labour), Daniel Zeichner (Labour), Stella Creasy (Labour), Jim Cunningham (Labour), Siobhain McDonagh (Labour), Nic Dakin (Labour), Alex Cunningham (Labour), Sir David Amess (Conservative), Ruth Cadbury (Labour), Darren Jones (Labour), Dr Rosena Allin-Khan (Labour), Helen Jones (Labour), Karen Lee (Labour), Sandy Martin (Labour), Alex Sobel (Labour), Joan Ryan (Labour), Lisa Nandy (Labour), Damien Moore (Conservative).